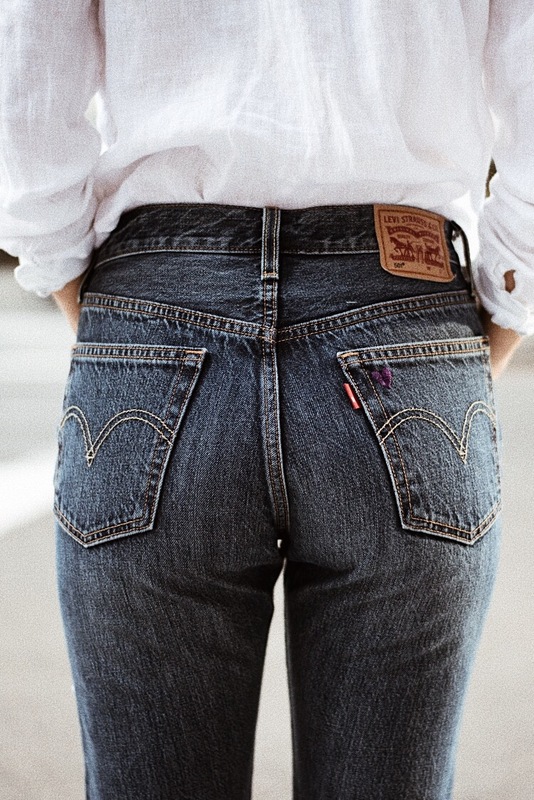 Love a great pair of vintage denim? Me too. 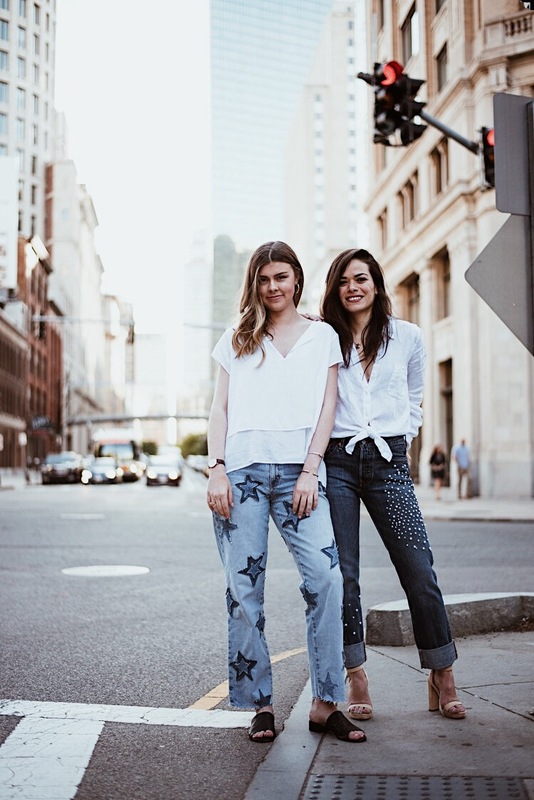 Keep reading to learn more about Kathleen, Estefania, and the journey to creating their brand, Faithful Jeans Co.! Enjoy! Hello! 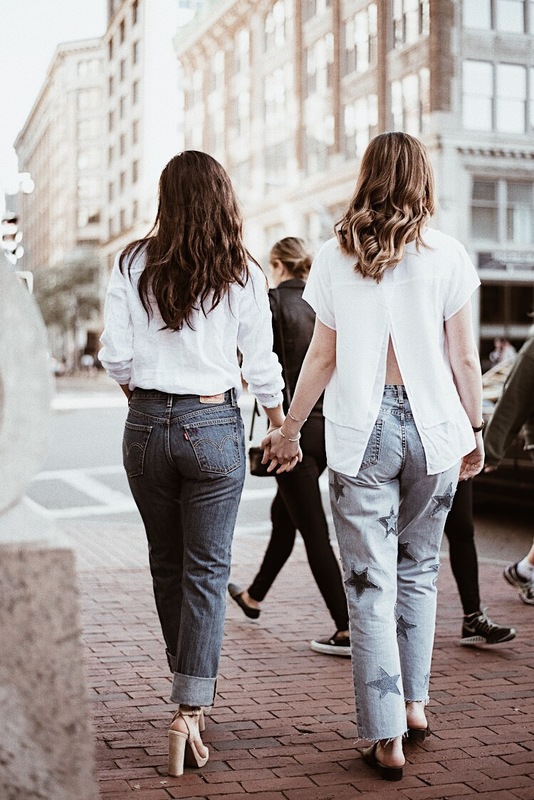 We are Estefania and Kathleen and we are the founders of Faithful Jeans Co. We met working in retail several months ago, and today have started our vintage denim company based here in Boston! Estefania is from Mexico and comes from a background of Graphic Design and is currently studying fashion design. 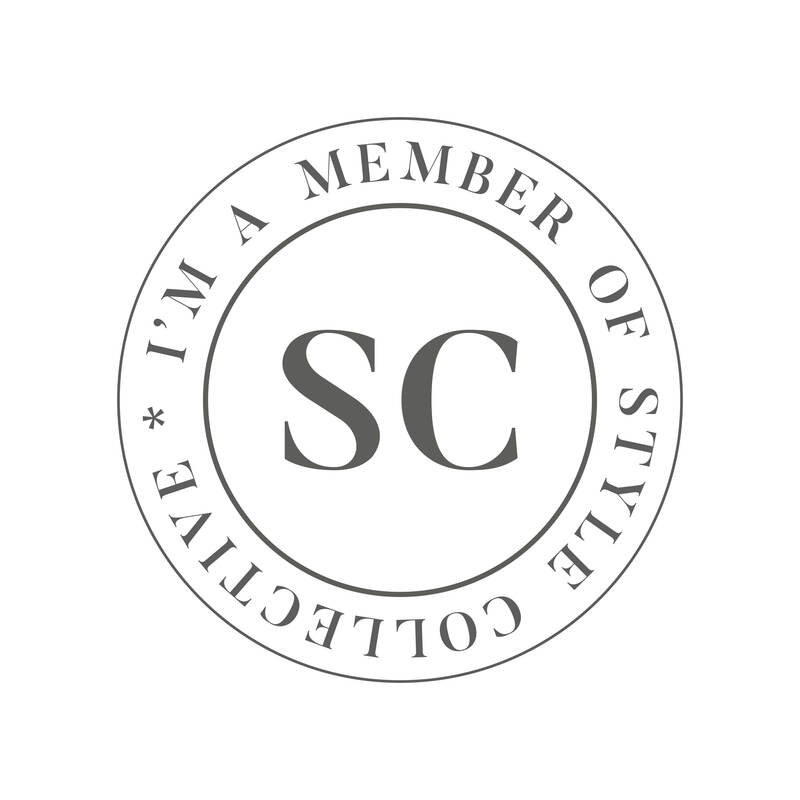 Kathleen is a local Boston girl who studied Communications and Journalism, but has been involved in the fashion industry for a few years now through her blog! Q: What made you start Faithful Jeans and Co? A: Estefania had seen a pair of jeans I was wearing one day that was fringed at the bottom. When I told her I cut them myself, she posed the idea of starting a business together! Q: What is the process or creating each piece? American Made? A: the process is certainly a creative one. Each piece is different from the next and we always start with the pair of jeans themselves and think of things that would look great because of the shade of denim, the fit etc! We are always going through a creative, inspired way of re-doing the jeans and with the vintage denim making a story of its own, we consider what we do enhancing their lifespan and embellishing on what’s already there. A: We get our inspiration through all of those things! Of course, we are both obsessed with fashion so we absorb things we see via magazines, Pinterest, street style etc., but we also get our inspiration from the life around us. The women around us, the art, the history, the culture. We go deeper than just materialism, we go for the golden nuggets of beauty. Q: There is a little purple heart sewed on every piece, what’s its significance? A: The purple heart is huge for us because every piece we make with our hands and our minds, but more so with our hearts. Each heart is unique and the purple color is to signify strength, passion and creativity. Q: What is your favorite part of creating Faithful Jeans and Co. / what’s most rewarding? 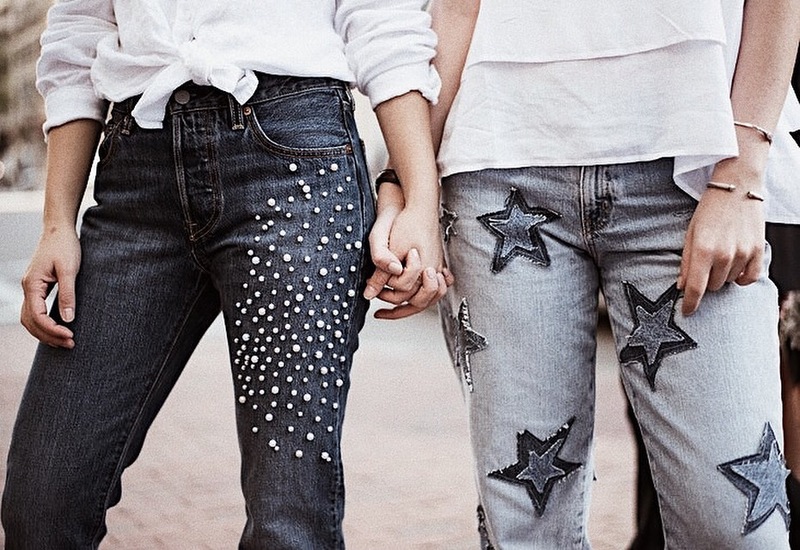 A: I think we both share the same appreciation for what goes into the jeans and knowing that someone will put them on and feel inspired and confident. We can look at each piece we have created knowing where we were at in life creating that pair, what emotions are attached there, that’s priceless. A: We currently face challenges with having too many ideas! We are working so hard on making things happen every day and developing our brand. Q: What tips can you give to someone who wants to start their own company? A: DO IT! When Estefania asked me, at first I wasn’t sure! As soon as I put the thought in, I couldn’t get away from the idea! If you put your mind into it, you can do it! Q: What are your future growth plans for the company? A: Our growth plans are to expand on what we’ve already built. We want to do things locally in Boston and participate in creative outlets around us! Q: Where can we get our hands on our own custom denim designs? A: as of right now, we are working on our Fall ’17 collection. We still have things going up on our Etsy and we are going to add more! Visit us at https://www.etsy.com/shop/faithfuljeans and follow us on Instagram @faithfuljeansco ! 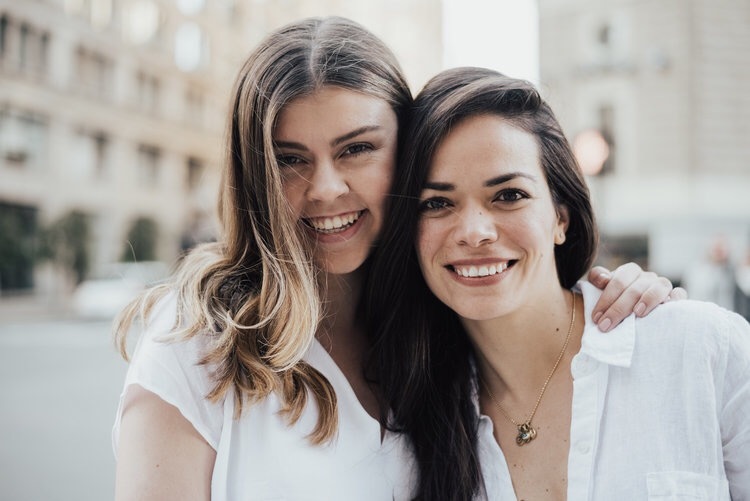 Kathleen and Estefania – Faithful Jeans Co.